Look what I found: strawberries! | Look what I made! Look what I found: strawberries! 1. A wonderful strawberry themed kitchen towel. 2. The cute strawberry pompoms by Mr. Printable. 3. A Strawberry Daiquiri Mix by Tide and Thyme. 4. 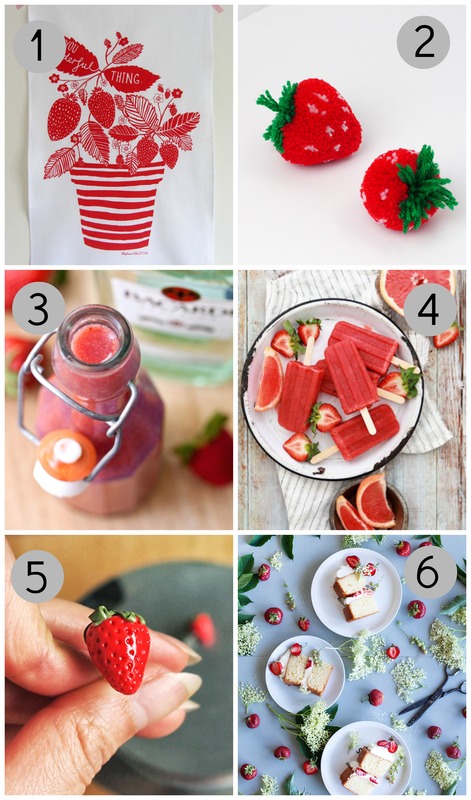 Grapefruit and strawberry popsicles by Endless Simmer. 5. A tutorial for these super cute strawberry earrings by Ice Pandora.